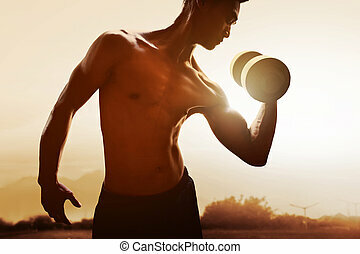 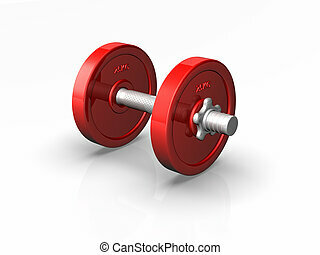 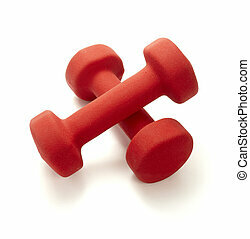 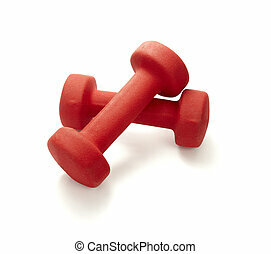 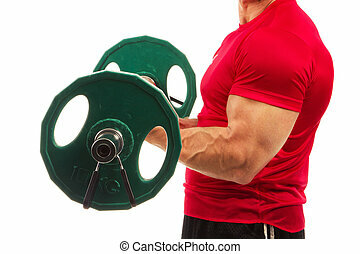 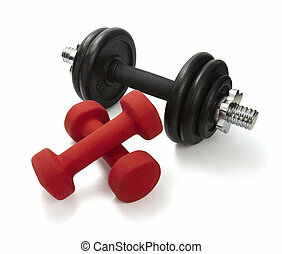 Ant lifting weight dumbell body building. 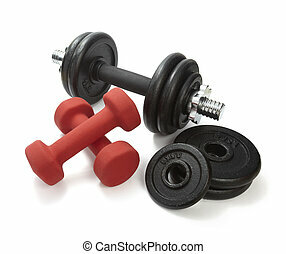 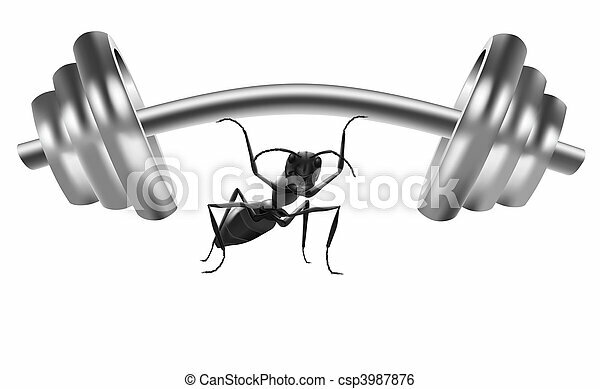 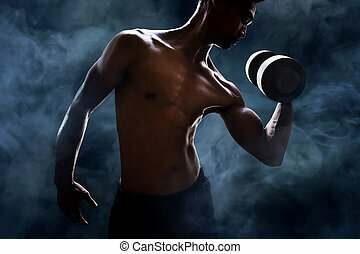 Small strong black ant lifting heavy weight dumbell doing workout in gym body building. 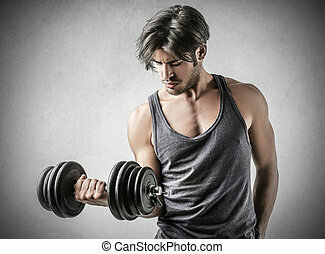 A detail of a man lifting weight. 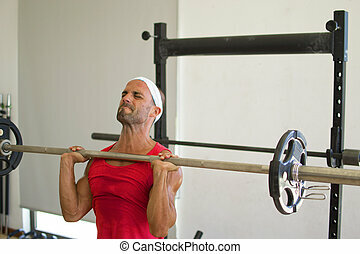 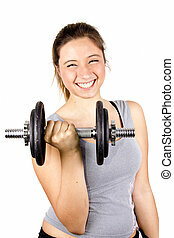 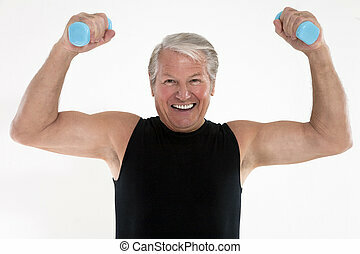 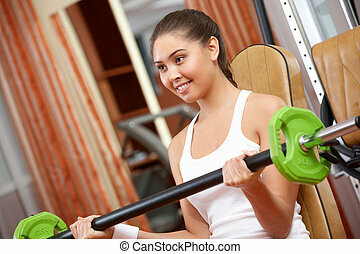 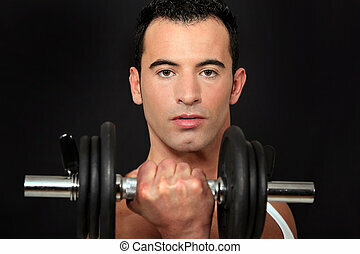 senior adult doing weight lifting on white background.